There are a handful of conditions that flowers need to grow well. Sun. Water. The proper temperature. Humidity. And carbon dioxide. Get these things right and flower productivity really takes off. Flower farmer Bob Echter of Dramm & Echter is investing in ensuring flower-growing conditions are just right for the flowers and greens he grows. 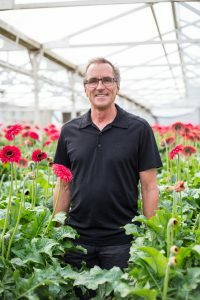 This approach nets increased productivity to meet the demand from customers who can’t get enough of his mini and standard gerberas, lilies, spray roses, succulents and greens. Echter says he’s running a sophisticated regime and focusing on temperature, humidity control and a carbon dioxide enrichment program – all little steps that can add up to big increases in production and flower quality. “We’re able to take the gas that’s burned from our heating system and put it into the greenhouse. It will be over a $100,000 investment, but it will significantly increase our productivity,” Echter explains. This longtime flower farmer’s focus on the finer points have also led him to invest in “lean manufacturing” – an approach that seeks to eliminate about six kinds of waste any business encounters (think excess inventory, extra transportation, excess motion or waiting) in order to improve efficiency and, in a roundabout way, benefit customers. That’s why for the past few years, Echter’s brought in consultants to review processes and work with employees to fine tune every step of the business. Mechanization has helped Dramm & Echter drive efficiencies and increase productivity on the farm. And while these tweaks might seem slight, they all add up. 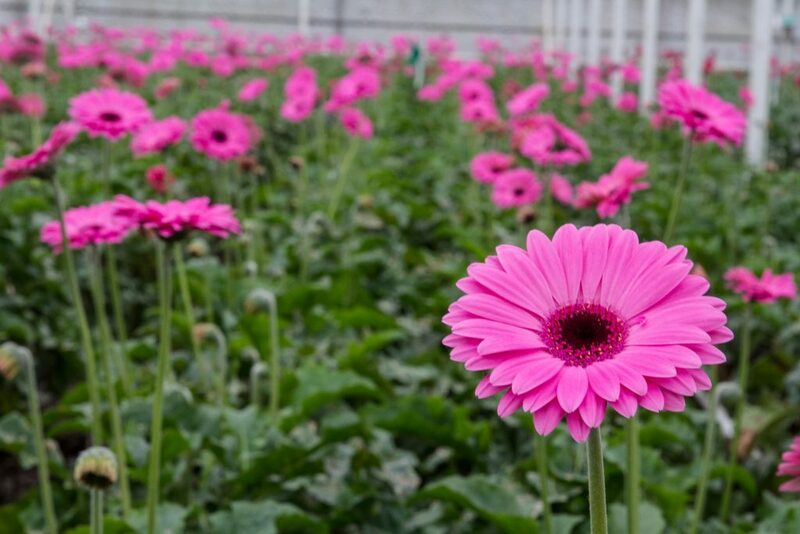 In 2016, Dramm & Echter had a 20+ percent increase in gerbera production per plant. 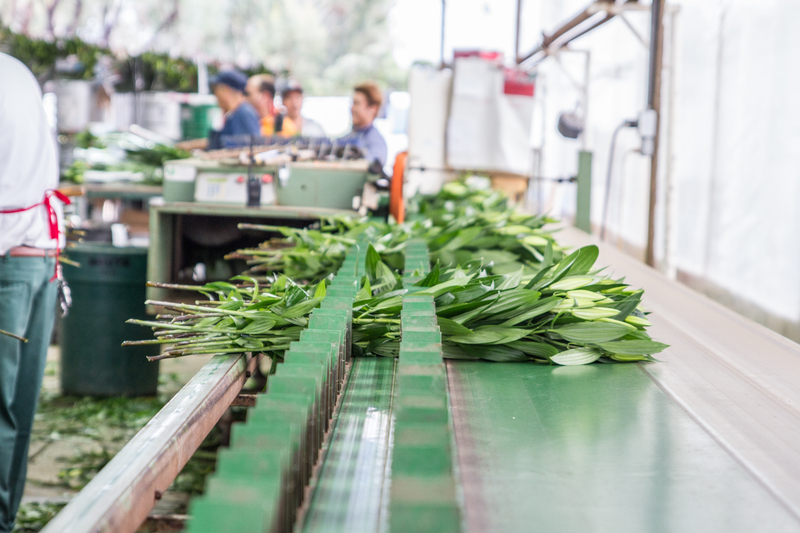 A focus on lean tools led them to produce and organize customer orders as the flowers came in from the field, reducing labor to pull the orders and maximizing inventory space and volume. A beautiful field of gerbera daisies at Dramm & Echter. These innovations mean that, even after 36 years as a flower farmer, Echter remains optimistic. And his customers show their gratitude for his meticulous nature by coming back for more. 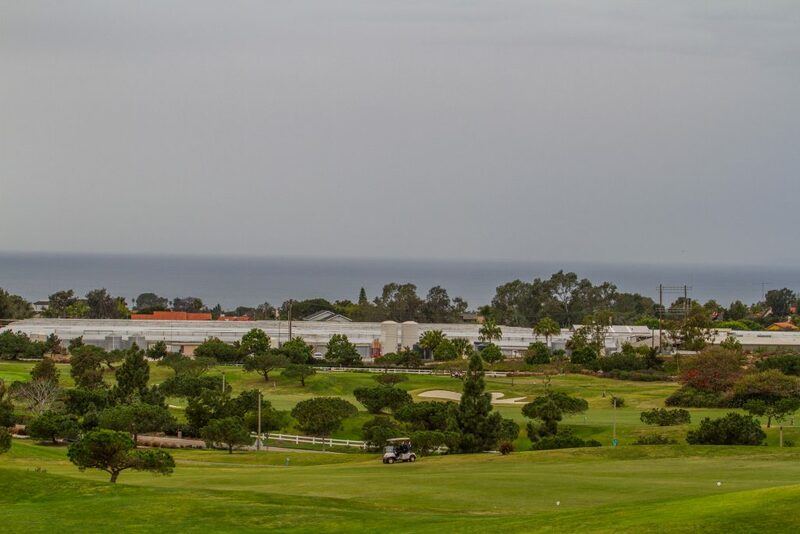 Dramm & Echter is located in Encinitas, California overlooking the Pacific Ocean.